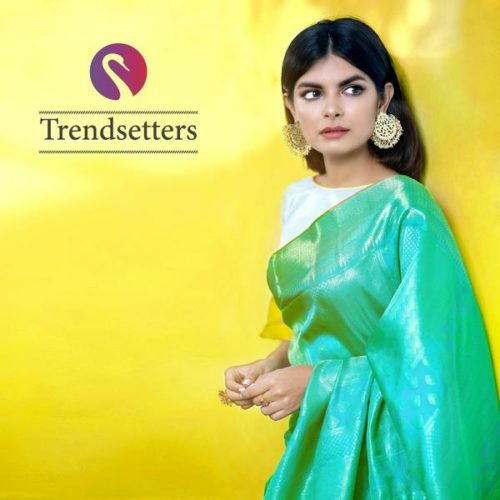 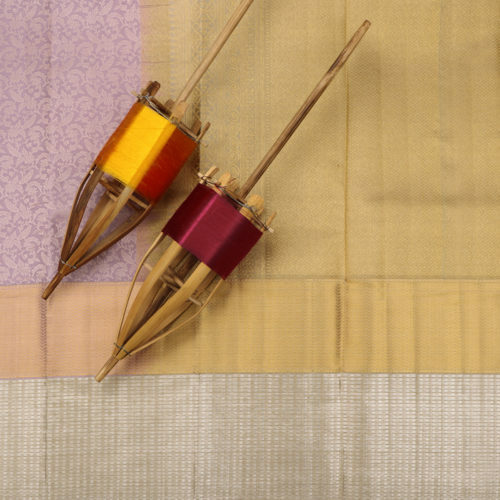 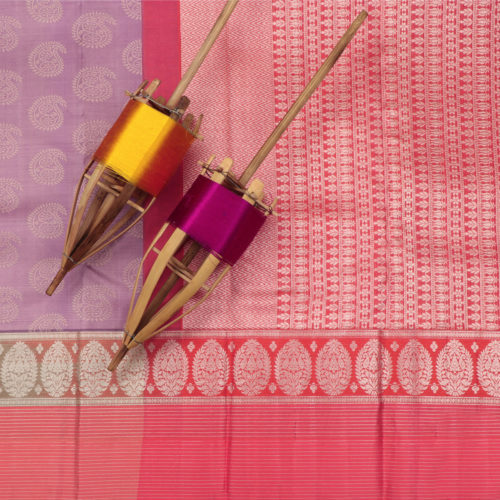 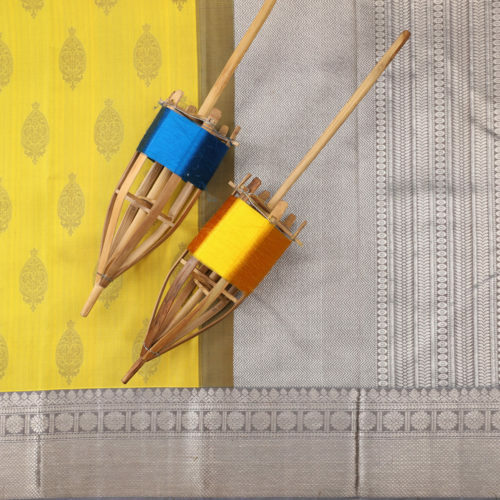 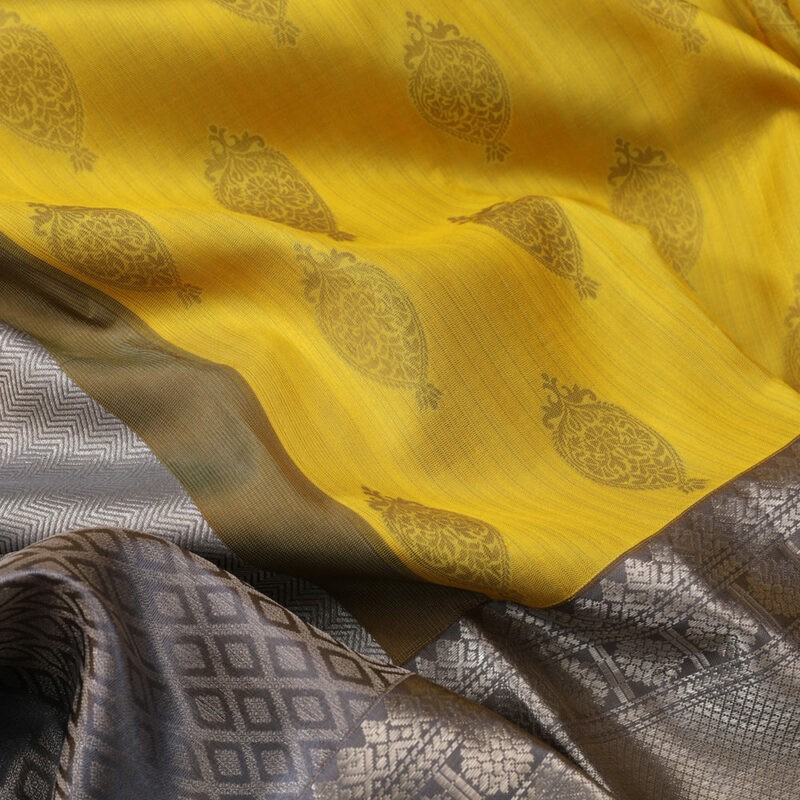 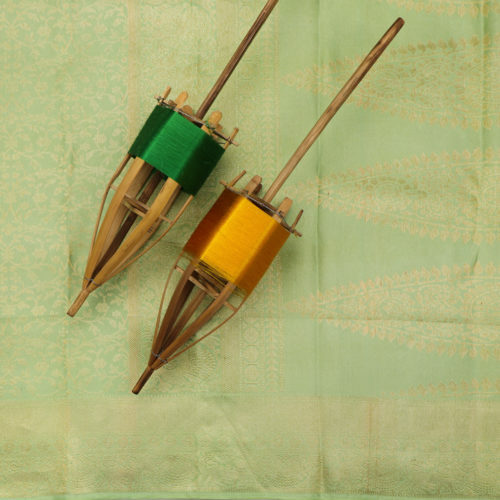 The pastel olive-yellow shade of the saree is very unique in its shade and the grey banarasi motifs spread upon it is very appealing to the eyes. 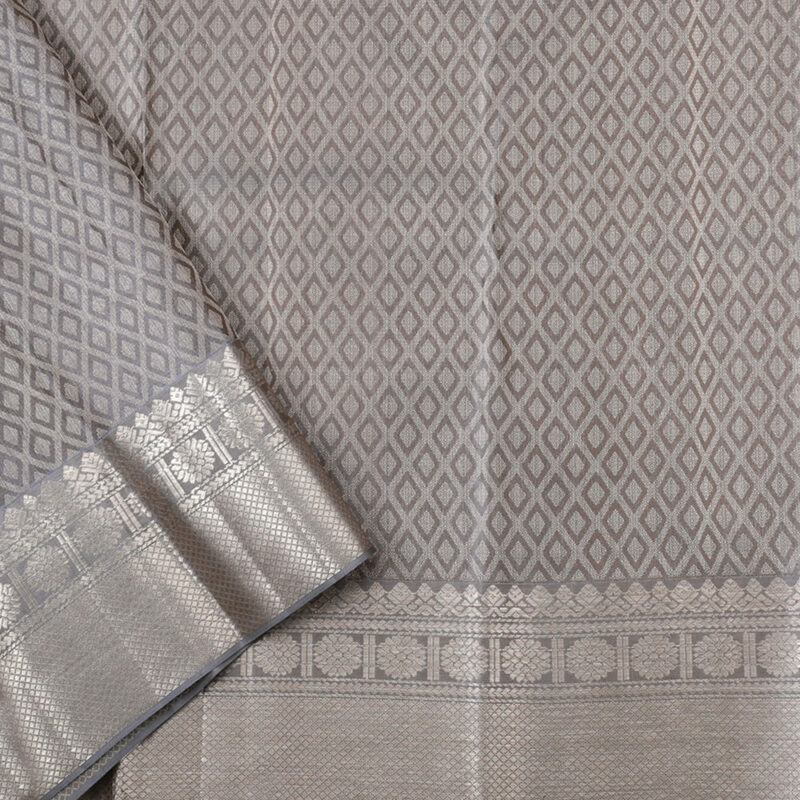 The border enveloping the body is filled with grey silver zari and a similar work can be seen in the pallu as well. 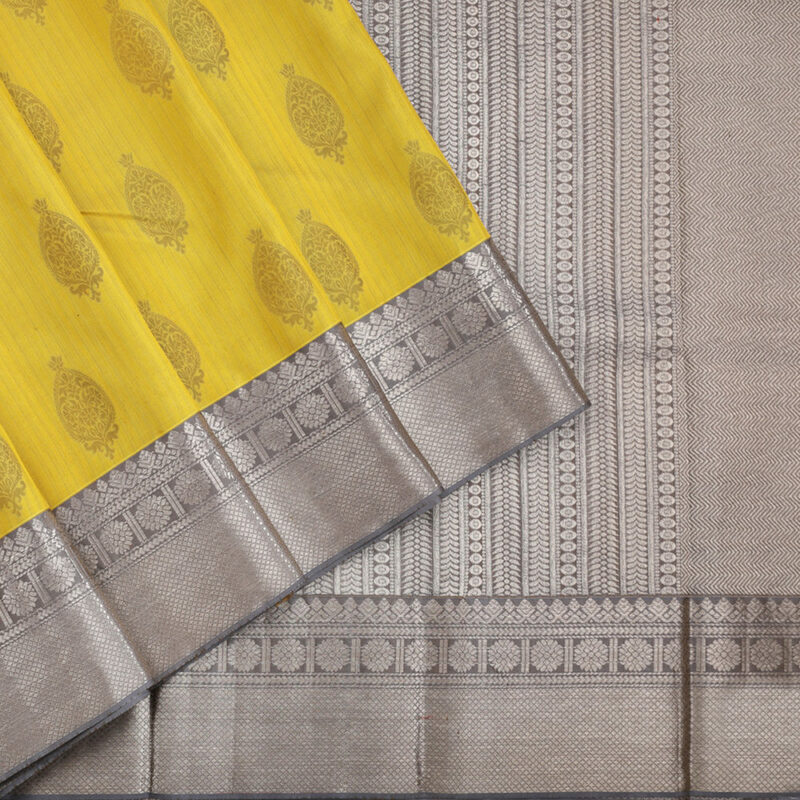 The saree has a blouse with silver zari works and grey diamond checks adorning it. 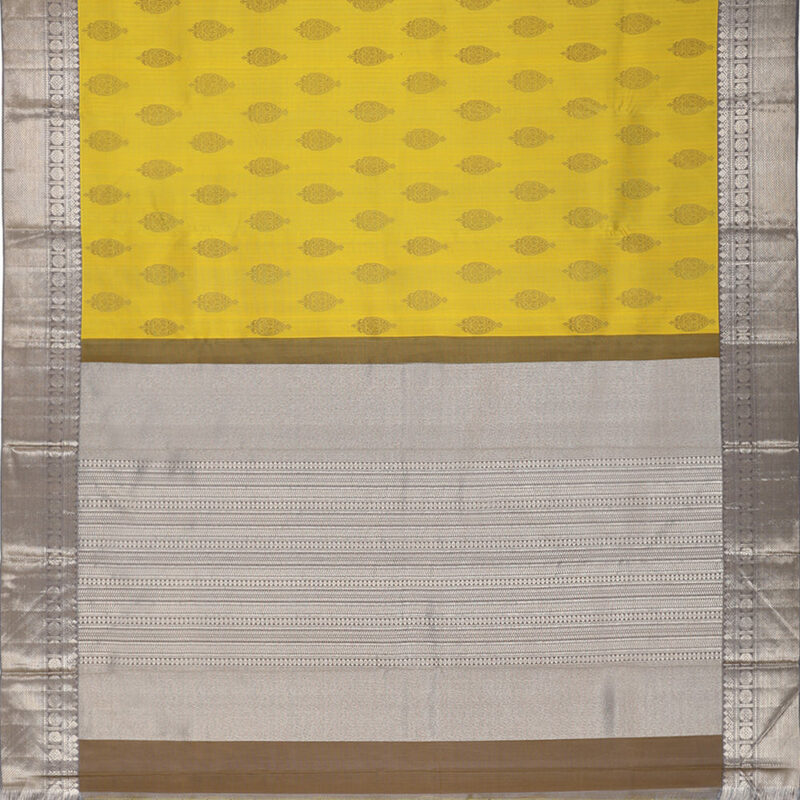 Due to screen settings and lighting imperfections, the actual colour of the saree might vary from the image here. 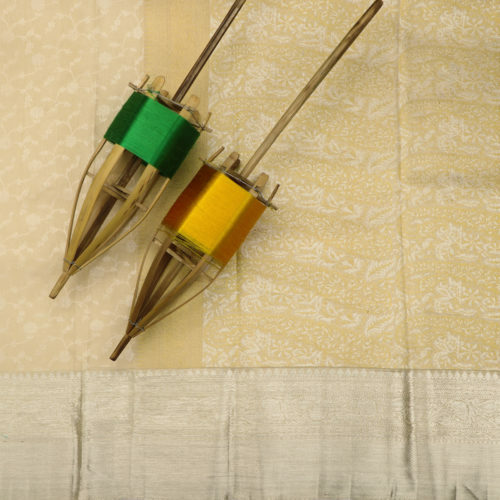 If you need help with this, please contact us.